Last night, the rapper popped the question to his love Kim, in a grand, private gesture in San Francisco. 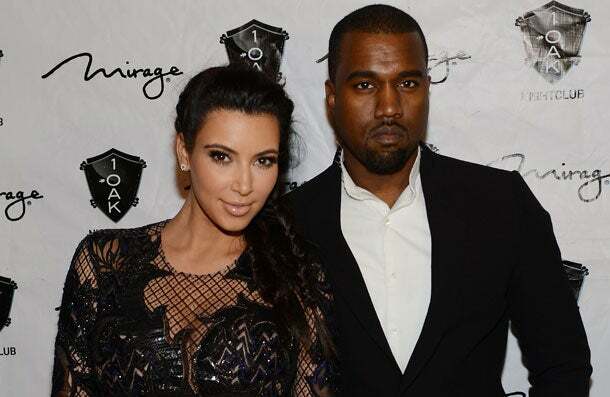 Kanye West surprised girlfriend Kim Kardashian with the best birthday gift ever last night – a 15-carat diamond ring. And if you know Mr. West, the fun didn’t stop there. A 50-piece orchestra played Keri Hilson’s “Knock You Down” and Lana Del Rey’s “Young and Beautiful” while he asked Kardashian to be his wife. Her close family and friends were waiting in the dugout and surprised the happy couple afterward. According to reports, West did ask Kardashian’s mom, Kris Jenner, for permission before he made his move.